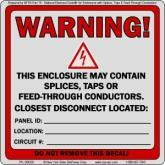 Reflective Decal Kit - Complete *NEW* As Required By the latest edition of NFPA Part 70 The National Electrical Code. Approved by Electrical & Building Inspectors. Complete kit ensures that your generator installation meets current codes. Same Day Shipping! 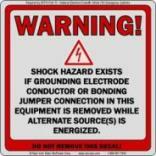 Reflective Grounding Warning Decal - *NEW* As Required By the latest edition of NFPA Part 70 - The National Electrical Code. 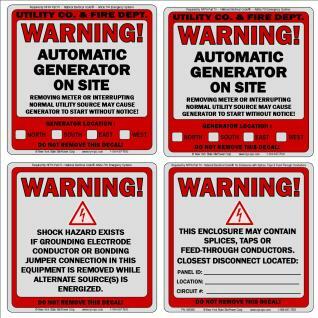 Required for generator installations. Approved by Electrical & Building Inspectors. Sold as a single decal. Same Day Shipping! "Star" Decal Punch for 3M Reflective Warning Decals. 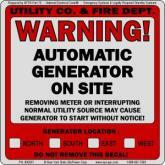 Allows the user to punch out the location of the generator. 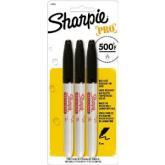 Better than permanent marker, the punch creates a permanent and unmistakable identification marker that can't wear off or lighten up over time.